The Trouble with Physics argues that a limited notion of time is holding physics back. It's time for a major revolution in scientific thought. The reality of time could be the key to the next big breakthrough in theoretical physics. What if the laws of physics themselves were not timeless? What if they could evolve? Time Reborn offers a radical new approach to cosmology that embraces the reality of time and opens up a whole new universe of possibilities. What happens when something is sucked into a black hole? Does it disappear? Three decades ago, a young physicist named Stephen Hawking claimed that it did - and in doing so, put at risk everything we know about the fundamental laws of the universe. Leonard Susskind and Gerard 't Hooft realized the threat and responded with a counterattack that changed the course of physics. 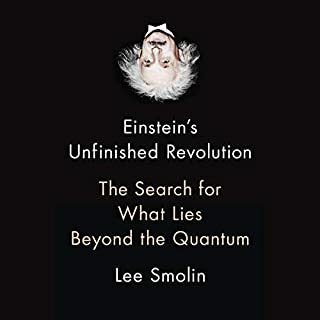 In this illuminating book, the renowned theoretical physicist Lee Smolin argues that fundamental physics - the search for the laws of nature - is losing its way. Ambitious ideas about extra dimensions, exotic particles, multiple universes, and strings have captured the publics imagination - and the imagination of experts. But these ideas have not been tested experimentally, and some, like string theory, seem to offer no possibility of being tested. Yet these speculations dominate the field, attracting the best talent and much of the funding and creating a climate in which emerging physicists are often penalized for pursuing other avenues. As Smolin points out, the situation threatens to impede the very progress of science. 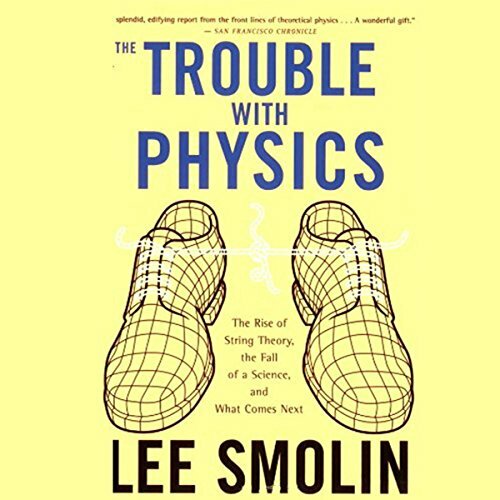 With clarity, passion, and authority, Smolin offers an unblinking assessment of the troubles that face modern physics - and an encouraging view of where the search for the next big idea may lead. 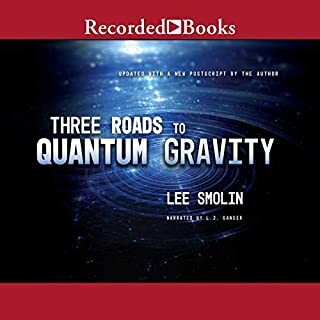 ©2007 Lee Smolin (P)2010 Audible, Inc. This book is a consideration of some current topics in Physics and Cosmology. It is the author's contention that resources being devoted to string theory are disproportionate to any returns received or envisioned. While some points made were well over my head, the book is not at all difficult to follow. It is clearly acceptable today to be agnostic on the string theory/multiverse. Science seems to have gone a long way out on that limb. The book is clearly and expertly read by Walter Dixon. 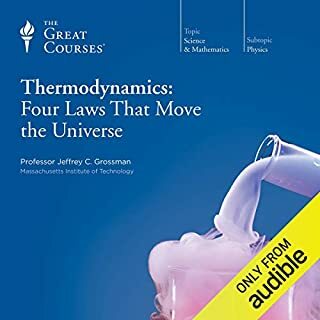 If you have some background in relativity and quantum physics, and don't want to listen to another book where half of it is a review of Newton and Einstein, this is for you. Smolin discusses some of the problems with the reigning paradigms, mainly String Theory, and then offers some promising alternatives, which, sadly, get too little attention. He ends with a philosophical discussion of why we need people who "color outside the lines" to advance the field of quantum gravity, which has reached stagnation. This book applies to all fields where new ideas and speculation is suppressed by the reigning theorists. This is a great book about new developments in physics. It goes over the Super String Theory and Loop Quantum Gravity sufficiently for the users to grasp their relative importance and their strengths and weaknesses (for standard model read Brian Greene’s excellent book "The Fabric of the Cosmos"). The second half of the book mostly deals with the politics of the academia, particularly, in physics departments. The author is disturbed by the internal politics of these so called institutions of science. He wants to change all that so it’s a more balanced atmosphere and helpful to the progress of physics as a science. He’s observations are right on. The only issue is that he thinks he can, or worse, should do something about this. He is asking the prominent members of String Theory community who control most physics departments in distinguish universities to be more open to other post-doc researchers that are not working on String Theory. He believes String theory is in crisis, or perhaps, the entire science of physics is in crisis. This is certainly overblown. Many times in the past in all fields of science, most notably medicine and physics, established scientists of the field have been protective of the accepted science of the day despite all the evidence to the contrary. The right science will ultimately prevail as it always has, but to expect that String theorist heavyweights such as Leonard Susskind embrace anything other than Super-String Theory is like to expect a father stop helping his own son get into college in favor of a stranger who appears to be smarter. This is their livelihoods after all. Yes, you may expect a few people do the right thing for a few years (assuming we can even say for sure what it is), but expecting everybody to act against their self-interest at all times is being naive at best. This one is tough. I learned a lot and enjoyed the book. If I learn, the book gets stars. There is a lot of interesting stuff in this book and the writer has a lot of company in his rant against all the scientific resources going to "String Theory" which will probably never be proven true or false. There is a bit of a taste of resentment in the writing. There's a disdain for those working in String Theory. Okay, that's his opinion. But at times it goes a little over the top. I would only recommend this book if you are very, very interested in technical physics. Otherwise I don't think you'll enjoy it. Being a layman interested in quantum theory I found this book important, and even touching. There is trouble with physics and it is wonderful that a very few scientists are pointing it out. I agree with Smolin that the trouble with physics is deeper and more insidious than run of the mill historical scientific dogma. New physicists are being encouraged to research an un-testable theory and actively discouraged from investigating any other underlying foundations of quantum physics. Smolin does not offer any answers, but demonstrates the problem, and encourages more open inquiry. Unfortunately the trouble with physics is very deep. Some of the greatest minds of the twentieth century spent entire careers on open inquiry to understand the fundamentals of physics, yet failed utterly. It is understandable that most advisers, after seeing decades of wasted genius, discourage their gifted students from such pursuits. Yet such pursuits may be the only path to true progress in physics. This book does not stand on its own really well, it is dependent on having some grounding in the history of quantum theory, so I would suggest reading Lindley’s Uncertainty (and maybe some others), before this reading this book. Hopefully this book will encourage some unknown non-professional, like Einstein, to ignore the conventional wisdom and see the simple and obvious truth that every professional physicist has missed for a century. I was prepared not to like this book, but I enjoyed it very much. The author does a very good job at summarizing the state of physics in 2007 and the influence of string theory as of that point in time. He does an excellent job of explaining physics and does a good job of putting string theory into its proper context. 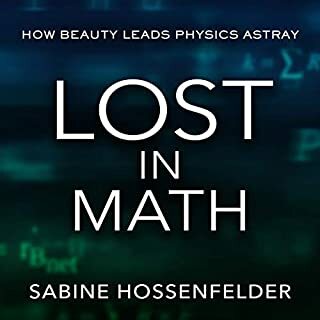 He starts off with the five major problems haunting physics (measurement problem, where do constants come from, grand unified theory, and two things) and explains what they mean in detail. He does mention that it's easy to knock something down without putting forth alternatives. The last third of the book is his attempt at giving alternatives. 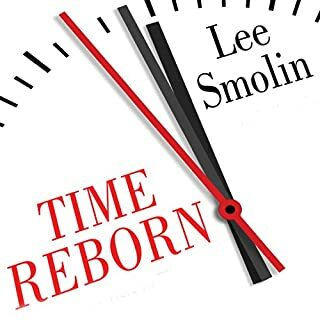 If audible makes available the authors current book "Time Reborn", I would get it in a heart beat. 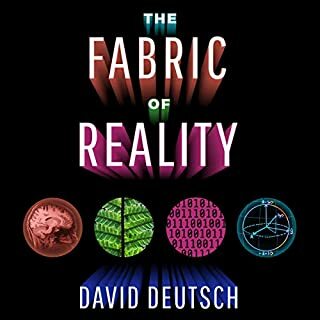 The author is that good at explaining science and the most enjoyable part of this book was the last third of the book where he speculates on future alternatives to string theory. A lot of his criticisms he gives to string theory could apply to any science branch. Such as statement that scientist are insular within their specialty and aren't willing to listen to other scientist who are in another specialty that doesn't support their specialty. With that mind, I think when he singled out String Theorist, I would just imagine that he was talking about quantum loop gravity specialist instead. The narrator, Walter Dixon, is one of the few whose book I would buy just because he's narrating, and as usual he didn't disappoint. This is a must read for any self described science seeker. Smolin would make William of Occam proud. That being said this title lost a star for poor audio quality. I sincerely hope Audible revisits this book it's not the narrator's fault. The production feels robotic (filter problem?). All aside buy and read anyway the narrative is that important! I don't know much about the state of Physics research, so I don't know if Smolin's complaints have merit. But in my experience observing the state of science in general, Smolin's complaints resonate. His main beef is not with string theory *per se*, only with the pervasiveness of string theory in physics research. Sure, he has some problems with the theory itself, mainly that it has grown so large and complex that it is practically unverifiable by experimental means. But more importantly, string theory has become so popular that it has squeezed out practically every other area of research. Smolin advocates that physics departments take on more risk and start investing in more esoteric lines of research. He uses a financial analogy: venture capitalists take on a certain amount of risk KNOWING that they will lose some percentage of their investments, but that some other percentage will win big. Smolin advocates a similar strategy for physics: more "investment" in riskier lines of research, which have a greater chance of failure, but which can also provide the next great breakthrough. Smolin thinks that too much research is vested in the "safe" string theories, and hence growth (in terms of new theories and new knowledge) has practically stalled for an entire generation of physicists. He makes a compelling point. Very interesting listen. One complaint though: he occasionally gets repetitive in his arguments. This book could have probably been 1/3 shorter without losing anything. The author discusses the unusual situation of no real progress in physics for the last 3 decades and the quagmire it is currently in. He discusses the history of tossing in extra dimensions to get to a unified theory and the several failures along that path. In the 2nd part of the book he discusses the culture of groupthink in the physics community that would probably make it impossible for someone like Einstein to find a job in physics today (it was already hard for him in his own time). The only important thing he does not mention is that most science today is funded by tax money coerced out of compliant tax subjects. These subjects are told to NOT think independently, that their preferences with their property are inferior to those of their masters. If you have a culture of subjugation (for most) at the root of the funding of physics, can you really expect these people to look favorably upon independent minds? Can you realistically expect that the influence of this funding can be fire walled? The funders got their money by shouting to subjects "comply or die", does it make sense that they treat the minds of physicists with respect and value someone that strays from the herd? This somewhat dated account of String Theory is a mixed bag. It starts out with a painfully grovelling apologia, explaining that the author's remarks are not to be taken personally by the scientists whose work he then goes on to trash. The theory-puncturing, in the first quarter or so of the main narrative, is pretty good. He then goes into a lengthy, seemingly endless meditation on the cons and pros of String Theory, which boils down to it's a complete failure, but very beautiful, compelling, promising, and on and on. It's like someone who has broken up with the love of their life and can't stop obsessively thinking about them. Get over it, dude! Move on! What I find particularly offensive is that most of the crap research described by the author is funded by the taxpayer. My money! I conclude that science research should be funded by the private sector. Don't waste my hard earned dollars on endless and very expensive mental masturbation.